President Maithripala Sirisena says he will support any decision taken by the House over the Executive Presidency. Speaking in Parliament the President said he pledged to abolish the Executive Presidency adding he is not responsible for the failure in abolishing the system. The Head of State noted the decisions pertaining to the matter should be reached in Parliament. Therefore President Maithripala Sirisena stressed he is in favour of any decision reached by Members of Parliament over the Executive Presidency. The President further said he allowed the Constitutional Council to work according to their discretion without any unconstitutional or undemocratic interference as he is of a clear understanding of the necessity to work according to the Constitution. President Sirisena stressed there is a major concern among the public whether the Constitutional Council is functioning according to the Constitution. The President claimed a Constitutional Council must not attempt to overtake powers vested with an Executive President as the public vested authority of implementing such powers with an Executive President elected through an election. The Head of State meanwhile charged that based on the present situation the legislature, the Executive and the Judiciary are controlled by the Constitutional Council. 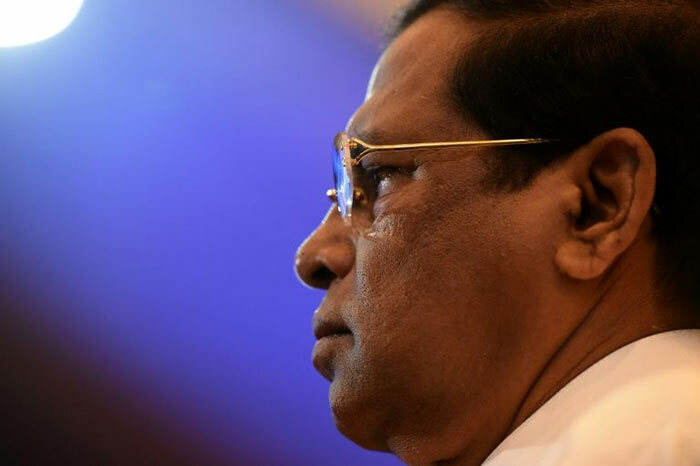 President Maithripala Sirisena said through the behaviour of the members of the Constitutional Council it is evident that the Council has failed to fulfil the aspirations of the public that favours democracy and good governance.